Chief Justice Roberts gave Obama what he wanted, but he also gave him something else. Conservatives are pissed at Chief Justice Roberts for not striking down Obamacare or at the very least the individual mandate. At first I have to admit I was ticked off at Chief Justice Roberts for actually calming that the mandate is a tax, and that congress does have the power under the constitution to administer tax policy. As I listened to conservatives all day rip into Justice Roberts, an interesting thought came to mind. Did Chief Justice Roberts actually give conservatives a gift that they aren't even seeing? You all know I tend to think outside the box. Obama said when he was a candidate for President that he wouldn't raise taxes on people who make UNDER $250,000 a year. The Obama healthcare tax will hit those in the middle class and even the poor who can't afford healthcare. Forget the progressive spew about "tax cuts for the rich". Obama has now given tax hikes to the poor. and middle class. Just another huge lie from the pathological liar at 1600. How exactly are the tens of millions of people who don't even have jobs going to be able to pay the mandated federal tax for not having health insurance? Obama and his fans were celebrating openly yesterday but behind doors, they know they have a problem. If Obamacare was struck down in it's entirety yesterday, the Obama would only really have to focus on trying to deal with Romney on the main issue of the economy, however, now Obama has to defend Obamacare and the mandatory tax to the American people. The election has now become about whether people want Obamacare or not. The more people find out about what is in Obamacare, the more people don't like it. Most polls show Americans do not want it. Since Obamacare's passing in 2009, Democrats in congress have stayed far away from promoting their victory and defending it against their critics. Obama can no more defend Obamacare to the American people as being a good thing as he can't defend his economic record to the American people with a straight face. Romney will have no problem now I believe solidifying conservatives behind him. The downing of Obamacare has come too much of an issue to ignore. Romney has raised $4.3 million dollars since the Supreme Court ruling yesterday. Obama in all his arrogance believes that the debate is over, because the court ruled Obamacare constitutional. It's far from over. The people simply do not want it, and they will vote accordingly in November. I'm not going to get get on Chief Justice Robert for his ruling. He gave Obama what he wanted, but he also gave Romney and the GOP what they wanted, another huge weapon in which to go after Obama on and that he can't defend against. Sorry folks for my absence. I've been pretty busy over the last two weeks. Anyways, I have much to say about the Supreme Court upholding Obamacare. I'll get into it more tomorrow. Obama and the left are crowing the court's ruling as a victory, but this victory is poison laced for Obama and I will tell you about it later. I have to chuckle, when the kooky left refers to Fox News as "Faux News". I've always wondered why the left never seems to speak out, when stories about MSNBC selectively editing videos to make conservatives look bad keeps popping up. Who can forget this classic MSNBC selective editing gem that was done back in 2009. I tend to reference this video a lot, because many people haven't seen for starters, also it illustrates just how manipulative MSNBC are in trying to defend Obama. Obama was at a health care rally in Arizona trying to drum up support for the Obamacare bill. Supporters of Obama and opponents of Obama were in the crowd while he was speaking across the street in a building. The cameraman for MSNBC PURPOSELY taped a gentleman from the waste down while showing that he was carrying an AR 15 assault riffle on his back and a pistol on his hip. Contessa Brewer and her panel of race baiting leftists made an issue about the man carrying the riffle, and they started to present a false premise that people who were against Obama were possessing weapons and that they might use them on Obama because of his race. Contessa Brewer, Toure, Dylan Ratigan left out one extremely important detail about the man they highlighted with the riffle. First watch the MSNBC video in order to see what what they wanted people to see and believe. Now, this is why MSNBC went out of their way to hide the identity of the man carrying the AR 15 assault riffle and the pistol. Let's just say that when progressives want smear conservatives as being racists, they kind of need to right race of person in order to create the narrative, and this wasn't that guy. Shazam I know. The guy who went by the name of Chris was BLACK!! Like I said in part one, the media doesn't control the content anymore. To this day, Contessa and the gang over at MSNBC has yet to offer an apology or even an explanation to their few viewers why they deliberately hide the identity of the black man and then preceded to create a fake narrative that white anti Obama folks with guns were at the rally.Here's another example of MSNBC being fast and loose with their editing in order to paint people who are not in support of Obama as being white racists. Governor Rick Perry when he was running for the GOP nomination gave a speech to supporters about the "black cloud of debt" hanging over the nation. Ed Schultz had Perry's full speech before it aired on his show, but he thought that he would splice off Perry's main theme about the debt in order to present him as a racist. As with Contessa Brewer, Eddy didn't get away with it either. Rachael Maddow must have been on crack, when she said that they were not a political operation but Fox News is. The proof is what it see. A few months ago, the race baiters at NBC News got caught airing a heavily edited 911 tape of George Zimmerman calling the 911 dispatch operator. This was no mistake on their part, and they also got caught. The national media in our country really is no different then the state controlled news outlets in socialist and communist countries. A Gallup poll from last year showed that the majority of Americans do not trust what comes out of the national news and obviously that is for good reason. The left will never figure it out that their glory day of duping the American people is over. MSNBC isn't really a news organization. They're a cross between CNN and Al Gore's progressive activist channel CURRENT TV. Largely in part, MSNBC is irrelevant. Throughout the day MSNBC can't even bring in one million viewers. I think the only reason why myself and others highlight MSNBC's deceptive reporting that is being passed off as news is, because it is nothing but deceptive propaganda being presented as news. A few days ago, Mitt Romney was at a political gathering of supporters in which he addressed the crowd in talking about the huge government bureaucracy. Mitt talked about how a dentist he met said that he had to fill out seven pages of documentation just so that he can move is dentist practice to another location. Mitt then made a comparison between the huge clumsy bureaucracy of the federal government vs how fast, streamlined and efficient a private sector Wawa convenient store store is in which he visited recently. As you all know by now, Andrew Mitchell of NBC News/MSNBC couldn't have Mitt Romney come off sounding like he knew what he was talking about, so thanks to some "selective editing", the video MSNBC aired and she reported on was that of a video that made it appear that Mitt Romney was fascinated by a Wawa convenience store in an attempt to make him look like he was out of touch with regular people and never been in a convenience store before. Once upon a time, progressives ruled the media. There was no counter balance in order to hold the media accountable. The left controlled the content hence forth, they controlled the distribution of the content and ultimately the message itself. Unfortunately for them, the left's monopoly isn't there anymore. I like the side by side comparison Brent Bozell and the Media Research Center did, because it highlights my point exactly. MSNBC thought that they were the only ones who had video footage of Mitt Romney talking to the crowd, but obviously they weren't, because others filmed it as well. This is why Andrea Mitchell and MSNBC are looking like fools right now. They didn't have exclusive control of the content to manipulate as they saw fit. These days, many people are walking around with cellphone cameras, flip camera etc. If others in attendance didn't tape Romney's words, when he was talking the crowd, MSNBC might have gotten away with their deceptive edit hit piece on Romney. Sarah Palin was a speaker at the RightOnline conference this past weekend. She hit on the point about how the left has lost it's stranglehold on the news. She made reference to how a once little known person by then name of Matt Drudge broke the story that lead to the impeachment of Bill Clinton, while the national media originally tried to ignore it in trying to defend him. GM can proudly claim that all their cars have just a little something sweet in their gas tanks. What exactly does flying a rainbow flag has to do with GM's Fort Wayne plant building quality automobiles for consumers? Rodney King dead at 47. What was the leason learned from his beating? Rodney King lived a very trouble life. He's most remembered for being hoped up on PCP and being video taped being beaten by members of the LAPD in their attempt to subdue him on the night of March 2nd 1991. The Internet wasn't mainstream like it is today, so it was solely the work of the national media that made the beating video famous. The video didn't show the events that lead up to the police deciding to use force in trying to subdue Rodney King, the media just started with the video of the beating in progress. Furthermore, people have forgotten that Rodney King lead the LAPD on a very dangerous high speed chase through Los Angeles Country that put motorists and the lives of pedestrians in danger. They didn't care about that part. They wanted to paint Rodney King as an innocent motorist who was pulled over, because he was black and that he was beaten, because he was black. I am not going to candy coat the life of Rodney King, and I am somewhat suspect of the circumstance surrounding his death. According to TMZ, Rooney's King's fiancee found him dead at the bottom of a pool in the early hours of this morning. A call at 5:25 am was placed to the police. He was removed from the pool and the paramedics attempted CPR. He was pronounced dead at 6:11 AM. Law enforcement sources say Rialto PD will open a drowning investigation, but so far there are no signs of foul play. Why was Rodney King swimming in the early hours of the morning to begin with? Unless the pool was very well lit, swimming in the dark is very dangerous. I am willing to wager that the cause of King's death will be drug or alcohol related. If I am wrong, I will be the first to admit it, but I am going to go with a trend that was Rodney King's life of drugs and alcohol abuse. I'm reading all of these media fluff stories and "tributes" to Rodney King, and I am left scratching my head to the reason why they are doing it. I feel bad for King's family and his fiancee, but that's about it. This is the video that made Rodney King famous. What will be the legacy of Rodney King? From what I take of it, his beating sparked blacks in South Central Los Angeles to burn down their own community. So I guess I will say nothing but stupidity came from it. I came across a video from the L.A Riots that the media or any race pimp would never, ever want shown to blacks. The beating video got all the attention nationally, but this video of a black merchant in tears after his store was burned down spoke volumes and was never reported. It also showed how law abiding black citizens were utterly in shock and in anger at how other blacks were acting in destroying and robbing from their own community. I guess this side of the LA Riots didn't fit the media's narrative that hard working blacks were also the victims of the LA Riots. When I saw this video of this man speaking, I truly felt bad for him. He achieved his American dream only to have had it taken away not by the KKK or other white racists but by other blacks. He wasn't white, he was black, yet the same people who claimed to have been SO OUTRAGED over the acquittal of the six white LAPD officers over the Rodney King beating, stole from another black man in their community. Riots are rarely about what the people participating in them claim it's about. This if anything represents more of the legacy of the aftermath of the Rodney King beating then the actual King beating itself. Sam Donaldson and the left yet again cries racism over a reporter daring to ask Obama some questions. I've come to the realization about just how much I loath progressives due to their oversensitivity about race. Our nation has become more polarized under Obama thanks mainly to the people who support him then the people who are against him. These people like Martin Bashir at MSNBC are always making every issue about Obama a racially charged one, and it is pathetic and it has long since gotten old. Obviously progressives can't handle the fact that a bi racial man was elected to the presidency. It's no secret that I can't stand Barack Obama. I'm ideologically opposed to everything he stands for. The majority of my criticism about him has been over his policies and ideology, the rest of my criticism has been on his associations and background. The left doesn't realize that the more they keep tarring people who disagree with Obama merely on policy as being racists, the more they are doing damage to Obama himself as being legitimate. Presidents regardless of party or race should be able take criticism. George Bush took his lumps from the left for eight years, and even Bill Clinton took his share from the right for eight years as well. The latest cry wolf story about racism has to do with Neil Munro who is the White House Corespondent from the conservative online publication The Daily Caller interrupting Obama during what he thought was the end of his speech in order to ask him a policy question. "where exactly is the evidence by Sam Donaldson to support such a claim that many on the right wants Obama out due to his skin color"? The intellectual ignorance of progressives make my head spin. Sam described Obama as an "African-American". He's too full of himself to even realize that Obama IS NOT EVEN AN AFRICAN AMERICAN. Obama is an American of Kenyan descent. Sam should learn how to correctly identify Obama first before smearing people who are ideologically opposed to him. Was Neil Munro aggressive in his attempt to ask Obama questions as a reporter? I don't know, but merely asking questions as a reporter isn't what a racist makes. I wonder where was the racially charged criticism by Sam Donaldson and others on the left when President George Bush was heckled by members of the NAACP during a speech he gave at their annual meeting in 2006? I wonder does Sam and the gang consider that racist as well? Was Bush heckled because he was white? Here's then presidential candidate Bill Clinton being heckled back in 1992 just days before the presidential election. This was before Bill became the "first black president". So why is it that the left feels the need to constantly come to Obama's defense with the racism tag, whenever Obama is treated like any other white president or candidate has been treated? It does appear to me that they are the ones who really aren't comfortable with Obama. In the case with the Neil Munro, he simply asked Obama a question.. He didn't even say anything derogatory towards Obama. So again, how did the tentacles of racism get attached to this? It's gone from the boy who cried wolf one time to many to just now being being absurd. Obama's last ditch strategy to save his job, BLAME BUSH!!! That isn't exactly late breaking news,but clearly that is now the strategy. Team O has burned through all their campaign options in record time due to none of them resonating with voters. To his not so intelligent base, invoking the name of George W Bush may get the old emotionally unhinged feelings flowing again among his true believers, but it won't work among mainstream result orientated voters. I watched a segment from MSNBC Morning Joe of Obama at a town hall in which he was blaming the GOP for the huge deficits and debt prior to him being elected. I need to mention something real quick. Mika Brezezinski who said after the clip "A-h-h-h, well, I'm hopin'. But I think it's a tough sell. She is suppose to be "journalist". What you heard was a journalist hoping that Obama is able to dupe people by blaming Bush for his own failures. Yes, Journalism is dead. Back to the story. The facts are toxic to Obama and his cult. They can't handle them. I wasn't a fan of Bush but facts are facts. The last year of the Bush administration in 2008, the annual budget deficit was $ 438 billion dollars. Three years and six months into the Obama "error" the annual budget deficit for fiscal year 2012 is now $1.2 trillion dollars. That is tripling of annual deficits for you progressives who aren't prone to the truth. The national debt just two months before the 2008 election in Bush's last year was a little over ten trillion dollars. That would mean that the national debt increased by five trillion in over eight years under Bush. The national debt in 2012 in the three years and six months under Obama is now fifteen point seven trillion dollars. So the national debt under Obama has increased by the same amount in less then one term under Obama, then it did under two terms under Bush. Instead of trying to milk the dry utters of the blame Bush cow, Obama should be out talking up his economic record to the American people. That should be his bread and butter right? Oops, I forgot. This is the reason why he needs to use this last ditch effort to try and run against Romney via Bush, because he can't run on his economic record, silly me. This is what the true believers aren't getting. This isn't about Bush. Polls after polls show that most Americans believe the economy is going in the wrong direction under Obama. He nor the media can change reality either under the previous administration nor under this one. So is there anything else up Obama's sleeves? For his sake he better hope so. He's going to need more then this. Even Obama's Top Adviser David Axelrod couldn't spin Obama's "the private sector is fine" comment. It's been nice watching the media go into circle the wagon mode in trying to isolate Obama from him "misspeaking" on the state of private sector job creation. Before it is all over, the claim will probably be that George W Bush used some sort of Halliburton mind control gizmo and made Obama say that the private sector is doing just fine. Well on Sunday, Obama's top adviser David Axelrod on CNN's State of the Union tried his best to defuse the firestorm surrounding Obama's disillusion remarks. Even David Axelrod was at a lost for words three times in trying to defend his boss. Team Romney wasted zero time in using Obama's own words against him. The line that will make people think is when it said along the lines of "how can Obama fix the economy, when he doesn't even know that it's broken". The Spoken Word against the intolerable atheist left. Progressives/Liberals profess to champion diversity and tolerance, but do they really? When it comes to religion, the left are always mocking those who hold faith as "believing in a superstition", being backward thinkers, unsophisticated or believing in a "fairytale". All atheists aren't progressives. I know several atheists who are conservatives. There is a distinct difference between the two. Conservatives who are atheists are comfortable in their own skin, so they don't feel the need to try and mock and bash people of faith. To them, it's a live and let live point of view. Progressive atheists on the other hand are a different story entirely. These people trash, ridicule and mock religion especially Christianity whenever possible. A perfect example of a progressive religious atheist bigot is Bill Maher. Well a Catholic Priest who is also a rapper(go figure) by the name of Fr. Pontifex just recently came out with a spoken hip hop video firing back at the attacks against Christianity by atheist progressives entitled the "Spoken Word". This video may not appeal to those who are use to traditional hip hop videos that use the N word, the B word, the C word etc. To others who enjoy a well thought out verbal debate, you should like this. The Private Sector is doing fine job wise? Oh no, I'm not saying that. I know better,. It appears that the Community Organizing Celebrity In Chief doesn't understand that real job creation begins and ends with the private sector. Many on the right were somewhat taken back by Obama's comments on Friday, when Obama said that the private sector is doing just fine job wise and that it is the public sector (government jobs) that is the reason why so many people are out of work. It's either two forces at work here. Either Obama is completely clueless when it comes to how jobs are created or , he knows that he is in deep trouble on the issue of the economy come November and has to try and fool people. Since the left views capitalism as evil, unfair, and they believe in their minds in an ever expanding centralized government, it does make sense based on their warped thinking that job creation mainly exists with the government. I put together a video highlighting just how out of touch Obama is on the issue.. I hope Obama is stupid enough to repeat that the private sector is doing fine come time for the election season to really heat up in a few months. How can Obama claim to understand the burden the middle class is going through, when out of his own mouth he pretty much admitted he doesn't have a clue? The left is in full meltdown mode over Tom Barrett's lose to Governor Scott Walker. I almost feel bad for the guy. It's bad enough for him to have lost twice to the same guy in a matter of two years. It's even worse to have lost in a very highly important race with huge ramifications for public unions around the country. If losing again to Scott Walker wasn't humiliating enough for Tom Barrett, him getting slapped in the face by a supposed supporter had to have been the low light of a very disappointing night. Here are a few tweets from the ever tolerant and peace loving progressive left aimed towards Governor Scott Walker after his win. Are these the same type comments peace and love, flower power hippie leftists from the past would make? Governor Scott Walker wins AGAIN! 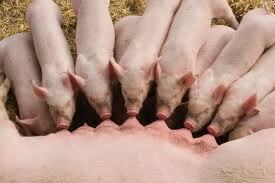 Time for the public union piggies to go on a diet! Looks like the citizens of Wisconsin have had enough with the public service union piggies porking out at their expense. I never had any doubts that Governor Scott Walker wasn't going to win. I was just wondering by how much he was going to win by. A few weeks ago when I read that the Democratic National Committee wasn't going to spend anymore money in Wisconsin, I knew that their internal polling showed that Tom Barrett had no chance of winning. With 99% of the percents reporting, it appears that Governor Walker won by seven percentage points over Tom Barrett. That means that Walker beat Barrett by two percentage points more in the recall election then he did originally. The clearest sign that Barrett was going to go down in flames happened the night before the election. The gutless wonder Barack Obama "tweeted" his support for Tom Barrett. If that wasn't a ringing endorsement, I don't know what is. Bill Clinton came to Wisconsin to campaign for Barrett(only a thousand people showed up). Debbie Wasserman Schultz the head of the Democratic National Committee came to Wisconsin to try and help Barrett, even my pathological lying, tax raising scum bag Governor Martin O'Malley who is the head the Democratic Governor's Association went to Wisconsin for Barrett, and they all failed miserably. I expect the talking heads and pundits to try and downplay Walker's win. I know it's going to happen.CNN got ahead of the curve in shielding Obama after the Walker win. Make no mistake about it, Obama and the Big Public Union Piggies got their butts kicked last night. It is said that a person shouldn't take joy in other people's misery. Forget that, I am going to enjoy every minute of watching progressives implode from here on out. Let the crying begin!!
" If American workers are being denied their right to organize and collectively bargain when I'm in the White House, I'll put on a comfortable pair of shoes myself, I'll will walk on that picket line with you as President of the United States of America. Because workers deserve to know that somebody is standing in their corner." Instead of the public union piggies being mad at Governor Walker, maybe they should be focusing their anger at the man who said that he would be standing in their corner as president if they were denied collective bargain. Obama simply wasn't there to back up his words.